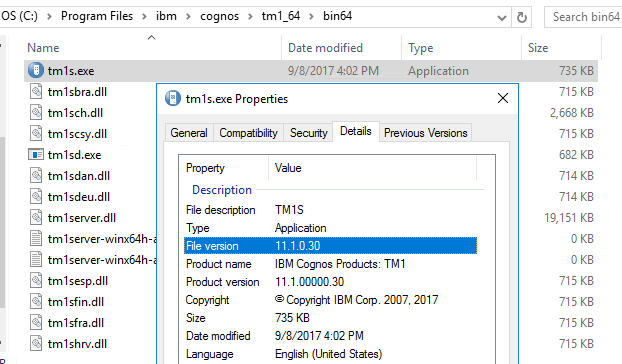 Since the first release of TM1 in 1981 to the latest versions of IBM Planning Analytics, TM1 has gone through a long journey from a niche to a mature product used all around the world to build Planning and Analytics applications. Using IBM TM1 and Planning Analytics out-of-the box is all that is required to get a fast model but you can so much more by exploring all features. 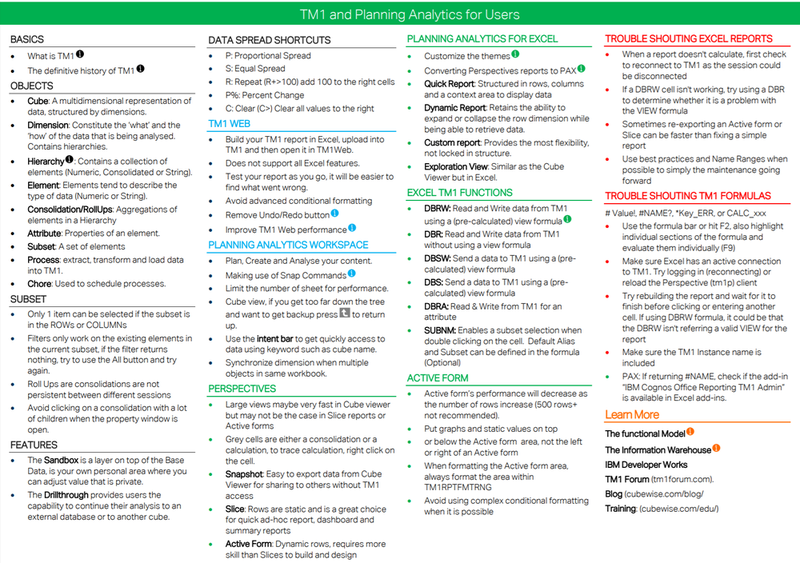 The idea of this cheatsheet is to gather the most important information that TM1 Administrators, Developers and Users should be aware off to take the most out of IBM TM1 and Planning Analytics. 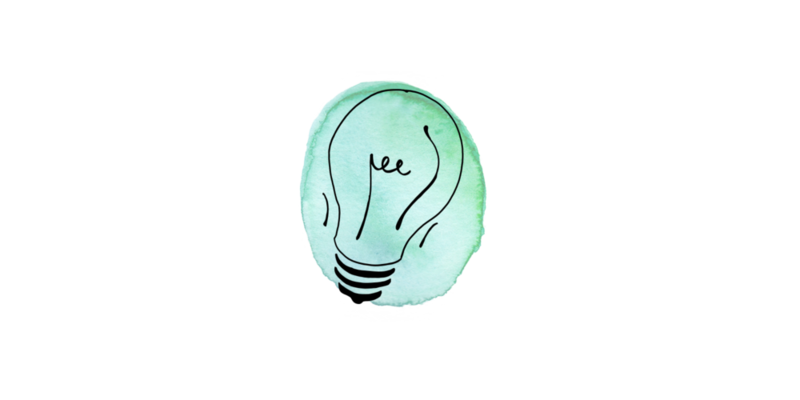 Deep dive into certain topics using the information icons which will send you to online articles. This cheatsheet includes three pages, one for Administrators, one for Developers and one for Users. If you think something should or should not be there, just email us at software@cubewise.com. 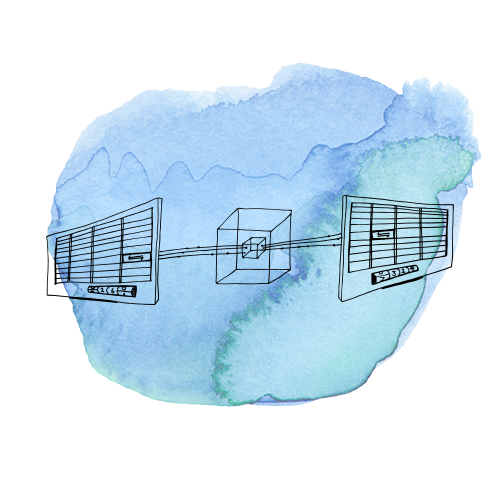 Multi-Threaded Queries (MTQ) allow IBM TM1 and Planning Analytics to automatically load balance a single query across multiple CPU cores. In other words, TM1 is fast, MTQ makes it even faster. It has been around for a number of years but there still some frequently asked questions which need a clear answer. What is the recommended value for the MTQ settting? The MTQ setting is per TM1 instance. If you are running more than one TM1 instance on the same server then the sum of all MTQ value for each instance should not be greater than the number of available cores on the server. For example, if you have two TM1 instances on the same 32 CPU server, one MTQ value could be 20 and the other one 10, the sum of the MTQ should be less than 30. How to find the optimal setting? Increasing the number of cores on your server to increase the MTQ value will not necessarily make your TM1 application faster. MTQ works by splitting a query into multiple chunks and then combining the results from each chunk into a final result. There is overhead involved in the process of splitting the query and combining the result. Depending on the size of the data there will be a point where the splitting takes more time than if it larger chunks were used. Overall, somewhere between 32 and 64 cores, the query hits this tipping point. If your TM1 and Planning Analytics application contains only small cubes, the optimal number of cores could be even less and for applications which have bigger cubes it may be more than 64. The only way you can really know the optimal setup is by testing. To enable/disable MTQ processing when calculating a view to be used as a TM1 process data source, you need to use MTQQuery parameter in tm1s.cfg. You can choose to overwrite the MTQQuery for a specific process by using one of the following function EnableMTQViewConstruct() or DisableMTQViewConstruct(). Does MTQ manage the order of queries? As per IBM, “MTQ value does not specify the total # of CPUs that TM1 can leverage for multiple queries. MTQ defines the # of CPU cores that TM1 may leverage for individual queries”. In other words, MTQ will be able to split one query into multiple chunks, but it does not manage the sequence of queries. 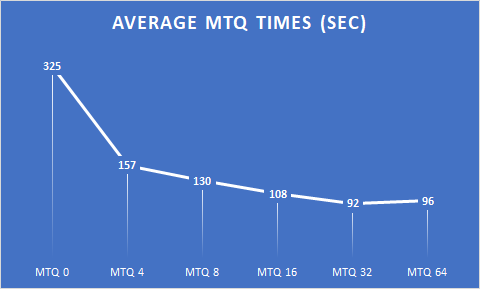 If your queries are queuing, it has nothing to do with MTQ. Parallel processing and MTQ are two separate things, the Q in MTQ is for query. So MTQ is only used when you are reading data from the cube, if you are running a straight load, writing data into the cube, MTQ doesn’t have an influence. Running a TM1 process might not always trigger MTQ. For example, if a process is using an exsiting view, depending on the view MTQ might not be triggered. The process would need to construct the view to trigger MTQ. MTFeeders will provide you significant improvement but you need to be aware that is does not support conditional feeders. If you are using conditional feeders where the condition clause contains a fed value, you have to turn it off. Tip and Technique to configure MTQ. 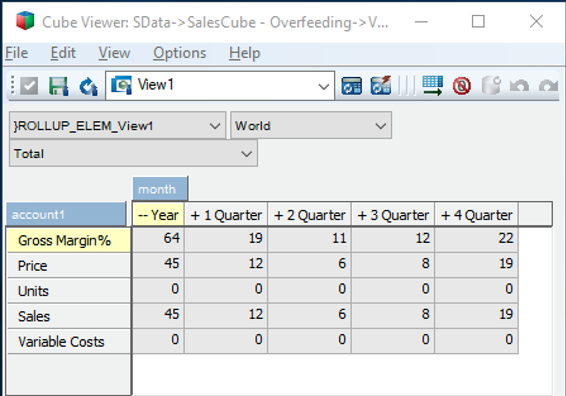 Have you already been stuck with a circular reference in TM1/Planning Analytics? Even though the equation is correct, you will have to resolve this circular reference first before being able to calculate the Dealer Margin value in TM1. #N/A in TM1 could mean either there is a division by zero or there is a circular reference in the equation. To solve the circular reference, we will have to manipulate the equations. Okay so let's do it! Simplify the system by removing the parentheses so it will be easier to manipulate the equations. Break the circular reference: We need to gather the 3 equations into one main equation. After a few steps, the W/S Price equation will not be linked to the Dealer Margin value. It's almost done, now we just need to simplify this main equation. 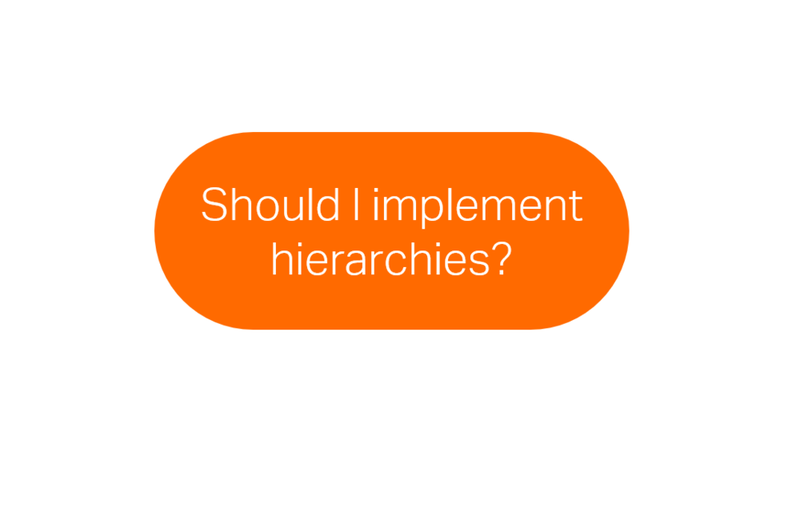 Understand relationships between your TM1 objects. Do you want to do more with TM1? Since TM1 10.2, IBM introduced the TM1 REST API which enables you now to do pretty much anything you want with your IBM TM1/Planning Analytics application. In this post you will find everything you need to know to run your first TM1 REST API query and understand how to read the data. The TM1 REST API is a way of accessing data and almost everything else in TM1. Rather than being a proprietary API like old TM1 interfaces, it is now based on web standards making it accessible to a wide range of developers. 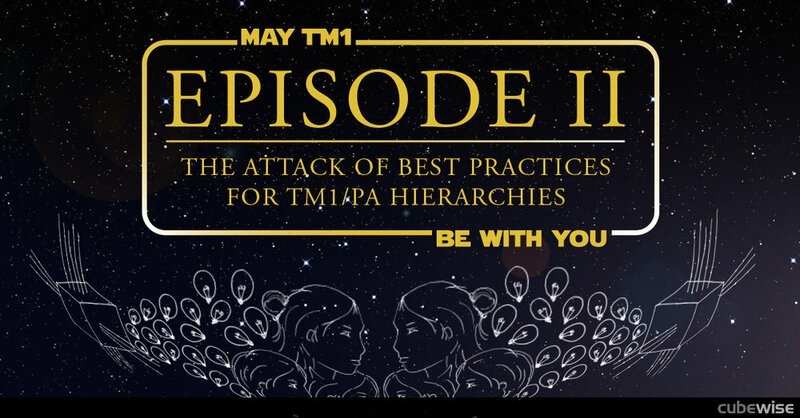 Why use the TM1 REST API? Since its first introduction, IBM is continuously improving it on every new release. We recommend to use the TM1 REST API with TM1 10.2.2 FP5 as minimum. How to run your first TM1 REST API query? protocol is either http or https depending if SSL is setup. servername server where TM1 instance is located. port: the port is the httpPortNumber parameter value in the tm1s.cfg. resource: The resource you want to retrieve, e.g. Dimensions to retrieve all dimensions or Cubes to retrive all cubes. How to read a JSON format? Instead of doing these steps manually (running the query and then viewing the data into a JSON viewer), you can use a tool which will do this for you and it is called Postman. 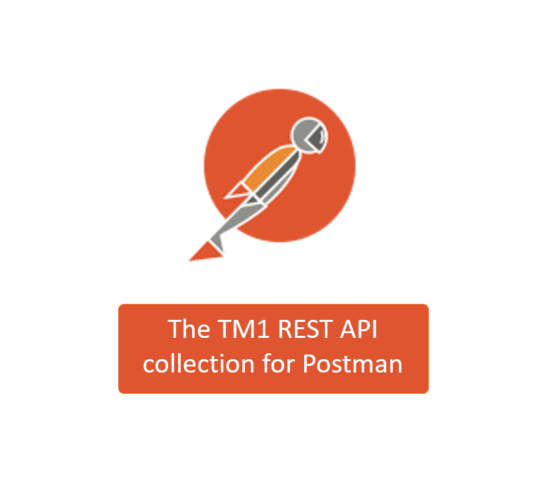 Postman makes the TM1 REST API easy! Postman is a modern HTTP Client with a fancy interface. It makes interaction with TM1 through the TM1 REST API easier compared to doing it through Chrome, CURL or a programming language. Postman has a free app that you can download here: getpostman.com. Once downloaded, just run the exe file. The installation should take less than a minute. Postman will start and it will ask you to sign-in. You can choose to create an account or to click on "Take me straight to the app". The advantage of signing up is that Postman will save your work in its cloud and you will be able to retrieve your work on another laptop after you have signed in. To run a TM1 REST API query on a TM1 instance using CAM Security you will have to change the Authorization to No Auth. If you are not sure about the AD, you can log in to Architect and check the user. In this example, after logging in to architect, the user is AD\user. If you interested of building web-based TM1 planning and reporting application, you should have a look at Canvas which is a web development framework. If you want to integrate systems with your TM1/Planning Analytics application, you should have a look at TM1py which is a Python package that wraps the TM1 REST API in a simple-to-use library.